Update: The band have shared two teaser videos on Instagram. Today, Radiohead fans on Reddit noticed that Radiohead's website was slowly disappearing, as the opacity of the site decreased throughout the day until the page was completely blank. It appears that Radiohead also deleted all the posts on their Twitter and Facebook pages, which is causing fans to speculate whether or not this disappearance from the web is an indication that Radiohead will drop a new album soon. Thom Yorke's Twitter is also blank. 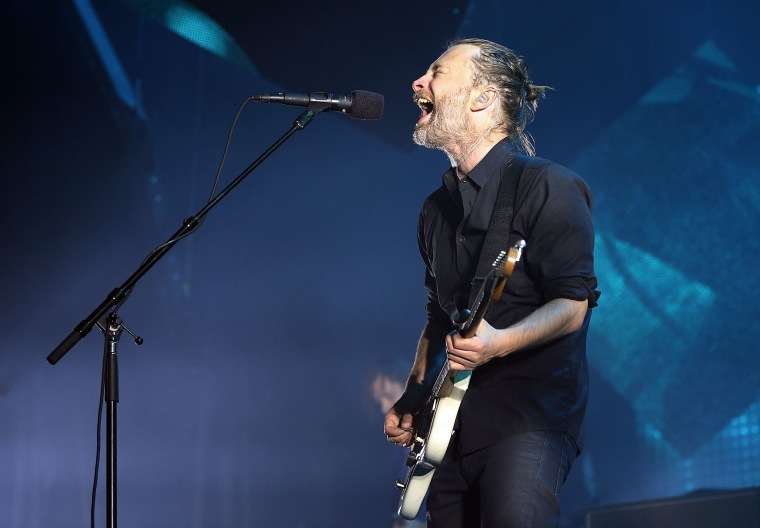 According to Pitchfork, there has been already been growing suspicion of a new Radiohead album, since yesterday, fans received mysterious fliers with the ominous words: "Sing a song of sixpence that goes/Burn the Witch/We know where you live." Although strange, this move from Radiohead is not unexpected, as they're known to drop projects in unconventional ways. Revisit Prince's cover of Radiohead's "Creep" at Coachella 2008. Update (5/3 6:30 a.m.): Radiohead has posted this animated video of a bird chirping to their Instagram account. As Pitchfork points out, the above video also sporadically appears on the band's website. Update (5/3 8:30 a.m.): Radiohead has posted another animated video, this time depicting sinister swordplay accompanied by strings.